United Airlines is returning to Fresno, California with a curious new route. 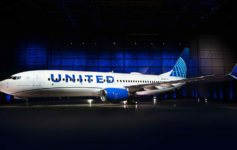 United will run mainline a 737-800 on the 158-mile journey between San Francisco International Airport (SFO) and Fresno Yosemite International Airport (FAT). Other flights will remain a mix of CRJ-200 (50-seat) and EMB-175 (76-seat) jets. I think this flight will be a boon to Bay Area commuters, not the least of which will be many United employees (one of which I know) who can pass ride to work. But why? What is the point of this new route? First, it bolsters President Scott Kirby’s long-term plan to boost domestic flying. Second, it may be the opening salvo of a battle with Alaska Airlines. The merged Alaska – Virign America will be a powerhouse in California and Alaska’s recent expansion in California threatens a profitable intra-CA route network for United. This equipment upguage could be a strategy to scare off Alaska with a huge increase in capacity. Third, landing fees are presumably much cheaper in FAT than SFO. I doubt that is a primary motivator, but it does represent an additional benefit. I wonder how FAs will work this route. Working a late night flight to FAT than an early flight back to SFO would be painful. Even if legal under FAA rules, who would want to put themselves through that. With flight time only an hour that is not a lot of duty time unless FAs would be paid of sleeping in an airport hotel overnight. Let’s see if this new mainline route sticks around and if Alaska will respond with its own increase in service to Fresno. Yah, I was just on an AA mainline flight that left Charlotte at 10:30pm and arrived in Savannah at 11:30pm and the crew casually mentioned that their flight back to Charlotte the next day was at 5:40am. They said “yah, it’s less an overnight and more a nap.” I was wondering how that would work in terms of FAA crew rest regulations, but your explanation above makes sense. I really think this happens more often than we think. I know that AA out of Charlotte operations many “last flight of the night” mainlines to airports that typically don’t receive mainline service other than that single service. Savannah is an example; other examples would include Wilmington and Myrtle Beach. There are many, many more in the Southeast. Not enough aircraft parking at SFO? I suspect this will be a good hidden city flight to tack on. Crew are only paid for their scheduled flight time or actual flight time gate to gate, which ever is longer, but only “work” about 100 hours a month. So, a 12 hour day might only credit 6 hours of “work” since the time inbetween flights doesn’t typically count (except when put on continuous duty like the above example). Hours spent flying/commuting from wherever they live to and from where they are based also don’t count. I have a friend who is based in JFK but lives in TX, so all of his trips start and end in NY but he has to fly standby to and from. Bases are all seniority based so maybe someday he can be based closer to his home (but even still Delta’s closest bases are probably SLC or ATL). So, 100 hours of work a month sounds great, but all the unpaid time adds up quick, until you’re senior enough to get flights that minimize unpaid time on the ground. I know my friends who are PMUS FAs, if their layovers are less than 8 hours they are paid for the ground time.